Jurickson Profar didn’t appear in the lineup for the Rangers’ Triple-A affiliate tonight, as Evan Grant of the Dallas Morning News reports that Profar was frustrated that he wasn’t traded in a deadline deal. Profar has long been a staple of trade rumors dating back to his time as baseball’s top prospect, though injuries and a lack of production over 718 big league plate appearances have dimmed his star considerably. Profar is still just 24 years old and he’s been hitting well at Triple-A this year, though without a clear path to playing time or even a stable position ahead of him in Texas, it appears as though Profar is looking for a change of scenery. Of course, if other teams now know that Profar wants out, it will be harder for the Rangers to recoup value for him in a deal, so Profar may not have any immediate route to another team. He is under team control through the 2019 season. The Marlins rejected offers for Dan Straily and Dee Gordon prior to the deadline, Barry Jackson of the Miami Herald reports. It initially appeared as though the Marlins weren’t going to be shopping Straily, though they apparently tested his market and drew interest from at least four teams, though none were willing to meet Miami’s high asking price. 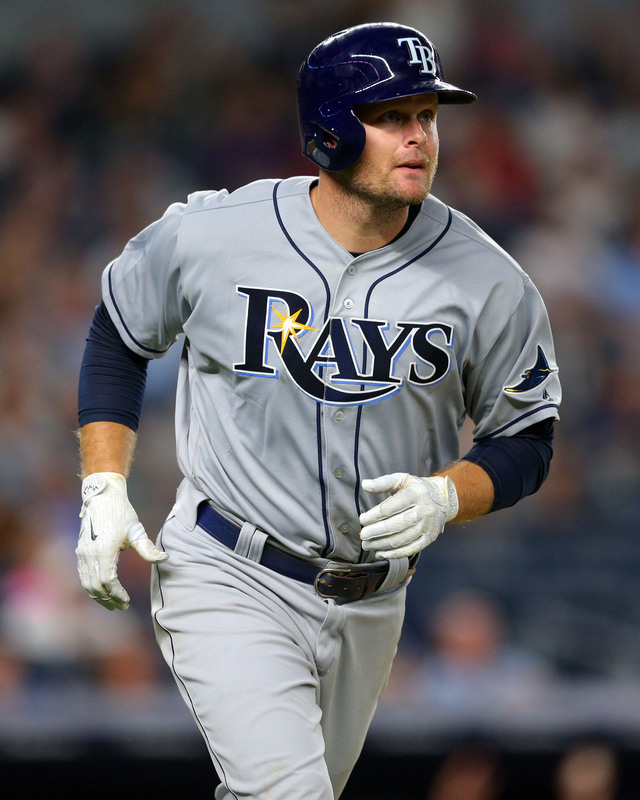 As for Gordon, several teams were under the impression that Gordon was available in a salary dump type of trade and thus offered little in the way of prospects for the second baseman. The Marlins, however, didn’t see Gordon’s remaining salary (just over $41MM) as onerous to give away for virtually nothing in return. Astros GM Jeff Luhnow tells reporters (including Jake Kaplan of the Houston Chronicle) that the team was working on some potential trades that “at times I would’ve put them at 90 percent-plus that we were going to get them done.” Instead, the only deal Houston made was to acquire Francisco Liriano, a much lower-profile move than some of the trades made by other World Series contenders at the deadline. Outfield prospect Derek Fisher was asked about in almost every possible deal, Luhnow said. Several high-salaried Tigers players were mentioned in trade whispers, though only some relatively small contracts or pending free agents were moved by GM Al Avila in deadline trades. Avila told the Detroit Free Press’ Anthony Fenech and other reporters that the roster reshuffling wasn’t about cutting costs. “I do not have a mandate to dump salary. Never have, and I won’t have it and I’ve been told it will never happen. So that’s a tremendous thing,” Avila said. The Tigers already have over $140MM on the books for 2018 — assuming they pick up Ian Kinsler’s option and that Justin Upton does not opt out of his contract — though some of that salary could end up being pared back via winter trades, even if payroll considerations don’t strictly demand it. The Indians figure to be active on the waiver front in August, Paul Hoynes of the Cleveland Plain Dealer opines, since the club didn’t address its primary deadline needs of a utility infielder or left-handed reliever. The Tribe didn’t want to meet the asking price for the likes of Justin Wilson and Brad Hand, though Hoynes notes that the team did “push hard” for Orioles closer Zach Britton. Cleveland is currently going with recent waiver claim Tyler Olson as the situational lefty in the pen, with star southpaw Andrew Miller reserved for a more prominent setup or multi-inning role. The Brewers have designated outfielder Kirk Nieuwenhuis for assignment, the team announced (via Twitter). The move creates 25-man roster space for Jeremy Jeffress, who was acquired by Milwaukee earlier today. This is the second time Nieuwenhuis has entered DFA limbo this season, as the outfielder was previously designated and then outrighted off Milwaukee’s roster in April. Nieuwenhuis will again have the option of rejecting an outright assignment (if he isn’t claimed or a trade isn’t worked out) to become a free agent, though he chose to remain in the Brewers organization during his first outright. Nieuwenhuis just had his contract purchased by the Brewers two days ago when Milwaukee designated Wily Peralta for an assignment. In 16 games and 31 overall plate appearances for the Crew this year, Nieuwenhuis has just a .115/.258/.269 slash line. The six-year veteran played in a career-high 125 games for the Brewers in 2016, getting some playing time for the rebuilding club after four previous seasons as a part-timer with the Mets and Angels. The Orioles placed Mark Trumbo on the 10-day DL due to a strain in his right rib cage, and the slugger will undergo an MRI tomorrow to determine the full extent of the injury. O’s skipper Buck Showalter told The Baltimore Sun’s Jon Meoli and other media that he is concerned Trumbo may have suffered an oblique strain, which generally means a DL stint of at least a month. After hitting 47 homers and posting a 123 wRC+ in 2016, Trumbo has delivered sub-replacement production this season, with -0.5 fWAR thanks to below-average defensive numbers and a .238/.300/.405 slash line and 17 homers through 443 plate appearances. The Orioles weren’t deadline sellers nor were they significant buyers, leaving Dan Connolly of BaltimoreBaseball.com feeling underwhelmed by the team’s midseason deals. The acquisitions of Jeremy Hellickson and Tim Beckham, in Connolly’s opinion, leave the O’s just treading water instead of firmly making a postseason run or beginning a rebuild. “They aren’t significantly better. They didn’t keep up with their division rivals. And they didn’t get considerably better for the future,” Connolly writes. The Red Sox looked far and wide for bullpen help, with president of baseball operations Dave Dombrowski telling reporters (including Chad Jennings of the Boston Herald) that the team considered over 20 right-handed relievers “and a lot of lefties, too.” Without revealing names, Dombrowski said that the Sox had interest in another relief pitcher who was traded within the last week, but the team that landed this mystery bullpen arm “gave a little more than we were willing to give at that particular time.” Of course, Boston’s quest for relievers ended in a big way today when the Sox acquired Addison Reed, who will step right into the eighth-inning role to set up closer Craig Kimbrel. Also of note, Dombrowski said that he didn’t get into any serious talks with other teams about starting pitching. The Blue Jays dealt away Francisco Liriano and Joe Smith today, though GM Ross Atkins told reporters (including Sportsnet’s Ben Nicholson-Smith and MLB.com’s Gregor Chisholm) that the team was “pretty close” on roughly 15 potential trades. Jose Bautista’s name was mentioned in talks, though “Nothing came to fruition where we had to say, is this something you would do or not do?” Atkins said, in regards to Bautista having no-trade protection via his 10-and-5 rights. With the trade deadline now behind us, here’s a look back at the last few days of deals in the NL West. Dodgers: Acquired starting pitcher Yu Darvish from Rangers for prospects Willie Calhoun, A.J. Alexy and Brendon Davis. Acquired reliever Tony Watson from Pirates for prospects Oneil Cruz and Angel German. Acquired reliever Tony Cingrani from Reds for outfielder Scott Van Slyke and catcher Hendrik Clementina. Acquired minor-league lefty Luis Ysla from Red Sox for cash considerations. Acquired righty Luke Farrell from Royals for cash. Rockies: Acquired catcher Jonathan Lucroy from Rangers for a player to be named later. Acquired reliever Pat Neshek from Phillies for prospects Jose Gomez, J.D. Hammer and Alejandro Requena. 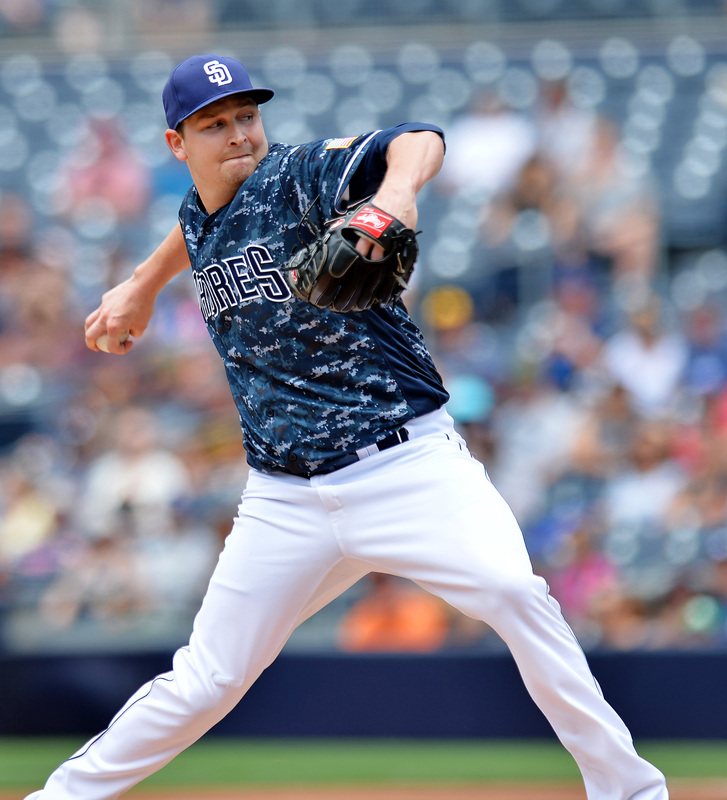 Padres: Acquired pitchers Matt Strahm and Travis Wood and infield prospect Esteury Ruiz from Royals for starter Trevor Cahill and relievers Brandon Maurer and Ryan Buchter. Giants: Acquired right-handed pitching prospects Shaun Anderson and Gregory Santos from Red Sox for infielder Eduardo Nunez. 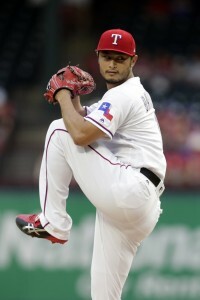 Diamondbacks: Acquired reliever David Hernandez from Angels for pitching prospect Luis Madero. Acquired infielder Adam Rosales from Athletics for pitching prospect Jeferson Mejia. Acquired catcher John Ryan Murphy from Twins for minor-league lefty Gabriel Moya. With the trade deadline behind us, here are the moves from the NL Central from the past few days. 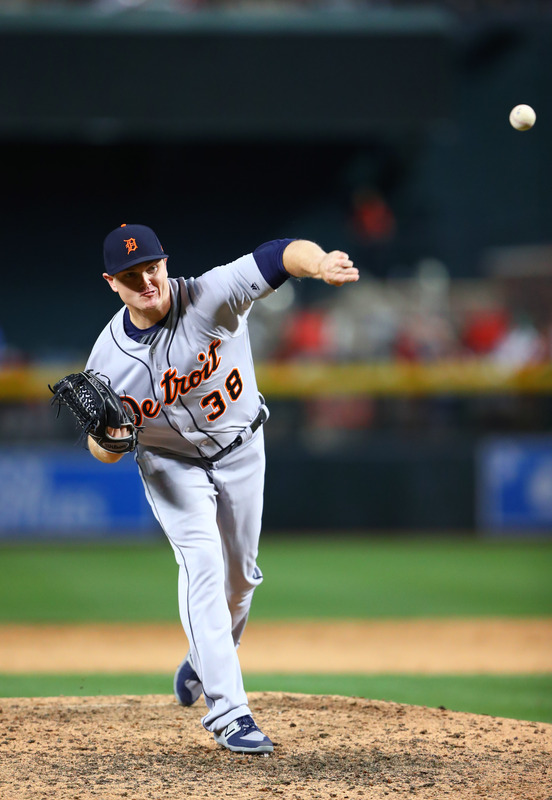 Cubs: Acquired reliever Justin Wilson and catcher Alex Avila from Tigers for infielders Jeimer Candelario and Isaac Paredes and either cash or a player to be named later. Brewers: Acquired reliever Jeremy Jeffress from Rangers for minor-league pitcher Tayler Scott. Acquired reliever Anthony Swarzak from White Sox for hitting prospect Ryan Cordell. Pirates: Acquired reliever Joaquin Benoit and cash considerations from Phillies for pitching prospect Seth McGarry. Acquired prospects Oneil Cruz and Angel German from Dodgers for reliever Tony Watson. Reds: Acquired outfielder Scott Van Slyke and catcher Hendrik Clementina from Dodgers for reliever Tony Cingrani. With today’s trades now in the books, here a look back at what each NL East team has done the past few days. Nationals: Acquired closer Brandon Kintzler from Twins for pitching prospect Tyler Watson and international spending rights. Acquired IF/OF Howie Kendrick from Phillies for pitching prospect McKenzie Mills and international bonus spending rights. Signed righty Neil Ramirez to a minor-league deal. Promoted top pitching prospect Erick Fedde. Mets: Acquired closer AJ Ramos from Marlins for prospects Merandy Gonzalez and Ricardo Cespedes. Acquired pitching prospects Gerson Bautista, Jamie Callahan and Stephen Nogosek froom Red Sox for reliever Addison Reed. Acquired relief prospect Drew Smith from Rays for first baseman Lucas Duda. Announced they would promote top prospect Amed Rosario. Phillies: Acquired Mills and international spending rights from the Nationals for Kendrick (see above). Acquired pitching prospect Seth McGarry from Pirates for reliever Joaquin Benoit and cash considerations. Acquired outfielder Hyun Soo Kim, minor-league pitcher Garrett Cleavinger and international spending rights from Orioles for starting pitcher Jeremy Hellickson. Acquired prospects Jose Gomez, J.D. Hammer and Alejandro Requena from the Rockies for reliever Pat Neshek. Marlins: Acquired Gonzalez and Cespedes from the Mets for Ramos (see above). Now that July’s trade deadline is in the books, here’s a look back at the last few days of moves for each AL West team. Athletics: Acquired prospects Dustin Fowler, Jorge Mateo and James Kaprielian for righty Sonny Gray and international spending rights. Acquired pitching prospect Jeferson Mejia from Diamondbacks for infielder Adam Rosales. Rangers: Acquired prospects Willie Calhoun, A.J. Alexy and Brendon Davis from Dodgers for starting pitcher Yu Darvish. Acquired a player to be named later from Rockies for catcher Jonathan Lucroy. Acquired minor-league righty Tayler Scott from Brewers for reliever Jeremy Jeffress. Claimed infielder Tyler Smith off waivers from Mariners. 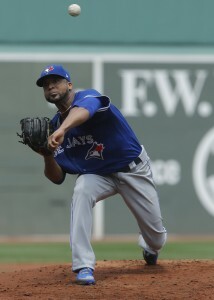 Astros: Acquired lefty Francisco Liriano from Blue Jays for outfielder Nori Aoki and Teoscar Hernandez. Signed reliever Jumbo Diaz to a minor-league deal. Mariners: Acquired righty Erasmo Ramirez from Rays for reliever Steve Cishek. Signed infielder Danny Espinosa. Lost infielder Tyler Smith on waivers to Rangers (see above). Angels: Acquired pitching prospect Luis Madero from Diamondbacks for righty David Hernandez. Here a look back at the last few days of moves from the AL Central. Tigers: Acquired infielders Jeimer Candelario and Isaac Paredes and cash or a player to be named from Cubs for reliever Justin Wilson and catcher Alex Avila. Royals: Acquired starter Trevor Cahill and relievers Brandon Maurer and Ryan Buchter from Padres for pitchers Matt Strahm and Travis Wood and infield prospect Esteury Ruiz. Acquired outfielder Melky Cabrera from White Sox for pitching prospects A.J. Puckett and Andre Davis. Acquired cash from Dodgers for righty Luke Farrell. Twins: Acquired pitching prospects Zack Littell and Dietrich Enns from Yankees for lefty Jaime Garcia. Acquired pitching prospect Tyler Watson and international spending rights from Nationals for closer Brandon Kintzler. Acquired minor-league lefty Gabriel Moya from Diamondbacks for catcher John Ryan Murphy. White Sox: Acquired first base prospect Casey Gillaspie from Rays for lefty reliever Dan Jennings. Acquired A.J. Puckett and Andre Davis from the Royals (see above) for Melky Cabrera. Acquired hitting prospect Ryan Cordell from Brewers for reliever Anthony Swarzak. 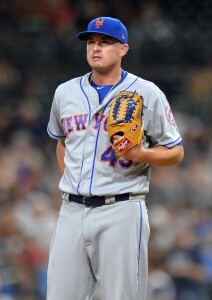 Indians: Acquired righty Joe Smith from Blue Jays for prospects Thomas Pannone and Samad Taylor. Claimed reliever Diego Moreno from the Rays. Now that today’s non-waiver trade deadline has come and gone, here’s a look at the moves of the last few days from throughout the AL East. Yankees: Acquired righty Sonny Gray and international spending rights from Athletics for prospects Dustin Fowler, Jorge Mateo and James Kaprielian. Acquired international spending rights from Orioles for righty Yefry Ramirez. Acquired lefty Jaime Garcia from Twins for pitching prospects Zack Littell and Dietrich Enns. Rays: Acquired first baseman Lucas Duda from Mets for relief prospect Drew Smith. Acquired reliever Steve Cishek from Mariners for righty Erasmo Ramirez. Acquired lefty Dan Jennings from White Sox for first base prospect Casey Gillaspie. Acquired pitching prospect Tobias Myers from Orioles for infielder Tim Beckham. Lost reliever Diego Moreno on waivers to Indians. Red Sox: Acquired reliever Addison Reed from Mets for pitching prospects Gerson Bautista, Jamie Callahan and Stephen Nogosek. Acquired cash considerations from Dodgers for minor-league lefty Luis Ysla. Blue Jays: Acquired outfielders Nori Aoki and Teoscar Hernandez from Astros for lefty Francisco Liriano. Acquired prospects Thomas Pannone and Samad Taylor for righty Joe Smith. Orioles: Acquired infielder Tim Beckham from Rays for pitching prospect Tobias Myers. Acquired starter Jeremy Hellickson from Phillies for outfielder Hyun Soo Kim, minor-league pitcher Garrett Cleavinger and international spending rights. Acquired righty Yefry Ramirez from Yankees for international spending rights.